Carver Darden attorney Travis M. Morock was recently selected to participate in the Pensacola Chamber Foundation’s Leadership Pensacola (LeaP) Class of 2019. Leadership Pensacola (LeaP) is a program that works to develop leaders in the community over a 10-month period. The curriculum for the program is to educate members of the LeaP class on issues facing the Greater Pensacola region and to provide for the development of leadership skills. The program includes a diverse group of candidates representing a variety of backgrounds and professions. Leadership Pensacola was founded in 1982 and to date, more than 1,500 people have completed the program. Participants accepted into LeaP are involved in a balanced combination of retreats, day-long seminars and community projects. 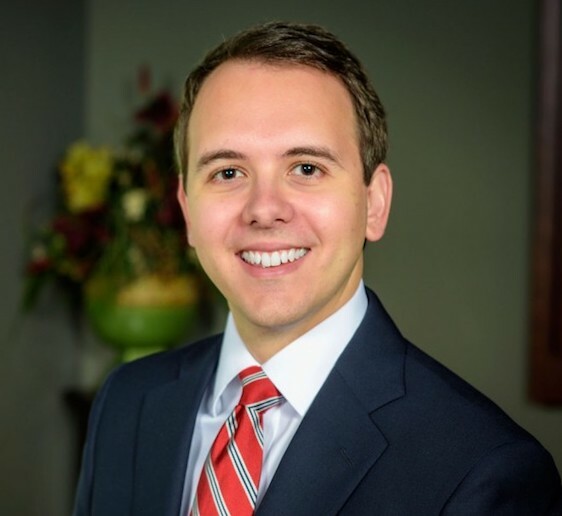 Travis Morock is an associate in the Carver Darden Pensacola office and his practice focuses primarily in the areas of real estate and general commercial litigation. He has experience working with on a variety of transactional issues for his clients, including business formation, contracts, partner relationships, vendor and investment agreements, and has also handled foreclosure issues. His clients include individuals, banks and financial institutions, small businesses, professional services and physician groups and health care entities. As part of his legal practice, Mr. Morock counsels many of his clients relating to legal advices for their business. For more information on the LeaP Class of 2019, click here.